Don't you love my husband horrible shoes?Step 1. Leaving the lid on the jar, drill a hole in the lid. You will need to tap the drill into the lid first, to give the drill some grip. Step 2. 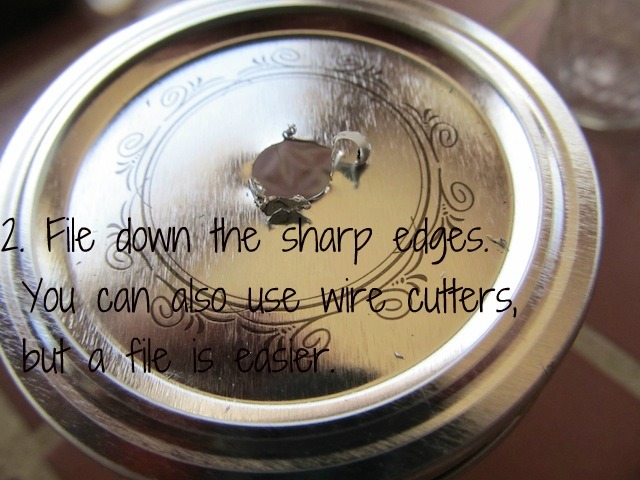 File down any sharp edges. You can use wire cutters, but a file is easier. Step 3. 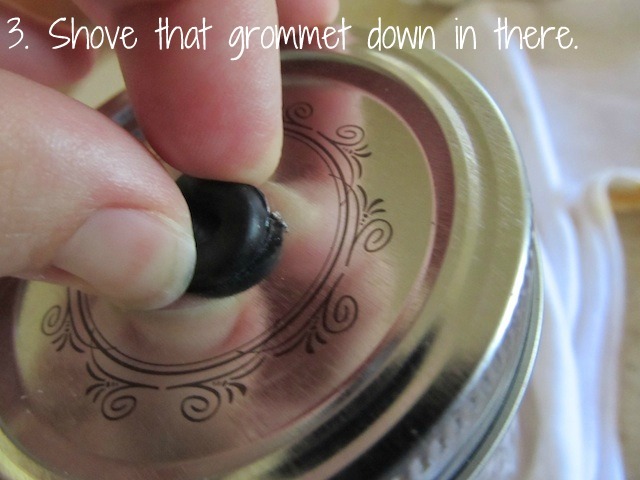 Shove that grommet down in the hole of the lid. Terrible paint job.Step 4. 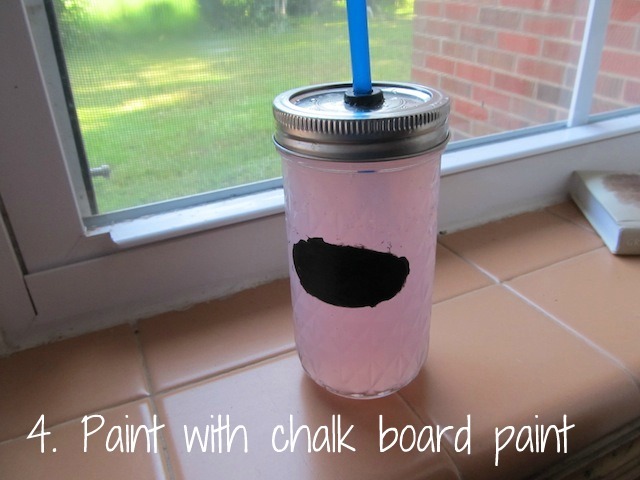 Optional, pain a part of the jar with chalk board paint so that later you can write you name on it at parties and such. I used a reusable straw that I got as a promotion. I love it. Now girl, go get you some pink lemonade! Don't forget to hop on over to Take it On Tuesday and look for some more great projects. And if you stopped by from there, welcome. Look around. I am happy to have y'all.